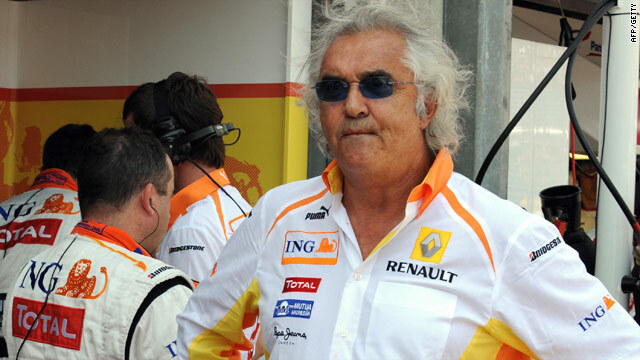 Former Renault team chief Briatore mounted a successful challenge to his life ban from Formula One. But Tribunal de Grande Instance declared the suspension "irregular" as it was not catered for in the FIA's own statutes. (CNN) -- Motorsport's governing body, FIA, are to appeal against the decision of the Tribunal de Grande Instance who ordered the overturning of a lifetime ban imposed on Flavio Briatore. Briatore celebrated last week's news, believing it restored his "dignity and freedom" in the wake of a suspension that was imposed by the FIA for his role in the infamous Renault 'crashgate' saga. However, new FIA president Jean Todt believes the organization still has a case against the 59-year-old Italian. A statement from the FIA read: "The president of the FIA has consulted the FIA Senate and the FIA's lawyers about the decision of the Tribunal de Grande Instance de Paris of 5 January -- and it was unanimously agreed that an appeal would be prepared. "In his election campaign last summer, FIA president Jean Todt and his team announced new measures for constructive change, including a disciplinary procedure, would be introduced. Work on this is well advanced. "Once in place, this will address the issues in the Court's judgement. Nonetheless, an appeal is merited. "While the appeal is under way, the World Motor Sport Council's decision of September 21 2009 remains in full effect. "However, in view of the uncertainty this may create for drivers who may be affected by this decision, the FIA president and FIA Senate have decided that, pending the outcome of the FIA's appeal, superlicences will continue to be issued to qualifying drivers in the usual way. "The FIA president, the FIA Senate, the World Motor Sport Council, and the FIA's member clubs from all countries will take whatever measures are necessary to ensure the continuing integrity and safety of the sport." The decision to appeal means the suspension against former Renault team principal Briatore, and the five-year ban handed to the team's former director of engineering Pat Symonds, remain in force. The FIA initially acted after Briatore and Symonds were involved in a conspiracy which saw Nelson Piquet Jnr deliberately crash his car at the 2008 Singapore Grand Prix in order to help team-mate Fernando Alonso take the win. The TGI, however, declared the suspension "irregular" as it was not catered for in the FIA's own statutes. The court demanded the FIA notify the teams and public, through adverts in French newspapers of Briatore and Symonds' choosing, that the bans be lifted. Briatore was naturally jubilant, claiming justice had been served, suggesting at the time he would consider a return to Formula One. Although warning the FIA against making an appeal, the Federation clearly feel they are duty-bound to contest the TGI's decision in light of the seriousness of Briatore's offence in putting another person's life at risk. Fortunately for those drivers in Briatore's management stable, such as Fernando Alonso and Mark Webber, the FIA have indicated they will not be affected when it comes to renewing their superlicence. The FIA have also made it clear they will strengthen their own laws that were called into question by the court. In looking to implement new disciplinary procedures, the FIA appear set to appoint an independent body by the end of the year to handle cases such as 'crashgate'.